In these times when cutting staff or “downsizing” is unfortunately a go-to strategy for so many CEOs who lack the strategic vision to raise revenues instead, we forget that severance pay wasn’t always the norm. Our 18th century pirates, again, were ahead of the curve. The concept of marooning meant that crew members deemed to be expendable or broke the rules set forth by the captain, were dropped off at a deserted island with a small supply of food–enough to survive until they found food sources on the island. Maybe. Nowadays, employees deemed expendable are escorted out of the building and given a small amount of money–enough to survive until they get another job. Maybe. The uniforms of the Royal Navy from the 1700’s were designed to help maintain strict discipline. Pirate captains took another approach, letting crews wear whatever made them comfortable so they could perform their work under the hot Caribbean sun. They often wore loose fitting white shirts and plain trousers, and of course a hat. On board ship they often went barefoot. The captains themselves expressed their individuality through how they dressed. Some were quite flamboyant, wearing red sashes, silk shirts and velvet jackets. In the “Pirates of the Caribbean” films, Johnny Depp’s Captain Jack Sparrow wears a red bandana and has long dreadlocks festooned with beads and trinkets. He ties his long beard into twists, as real-life pirate Blackbeard did in order to look fearsome. It worked. History books tell us that pirates were mostly eradicated in the Americas by the late 18th century, but that is not entirely accurate. Actually they just evolved into what today we call venture capitalists. The venture capitalists we have met in the course of our business careers and while writing two books about business finance, taught us how piracy works on a practical basis. Yes, the pirate captains’ concept of “no prey, no pay” is very much alive today. 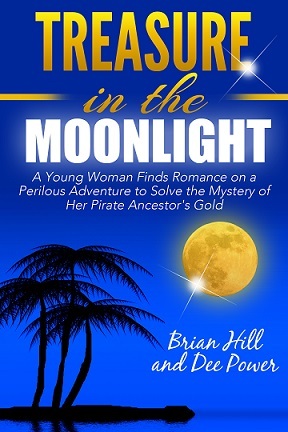 Other than that, and the fact venture capitalists aren’t the colorful dressers that pirate ship captains were, they are quite similar to the 18th century buccaneers depicted in our book, Treasure in the Moonlight.